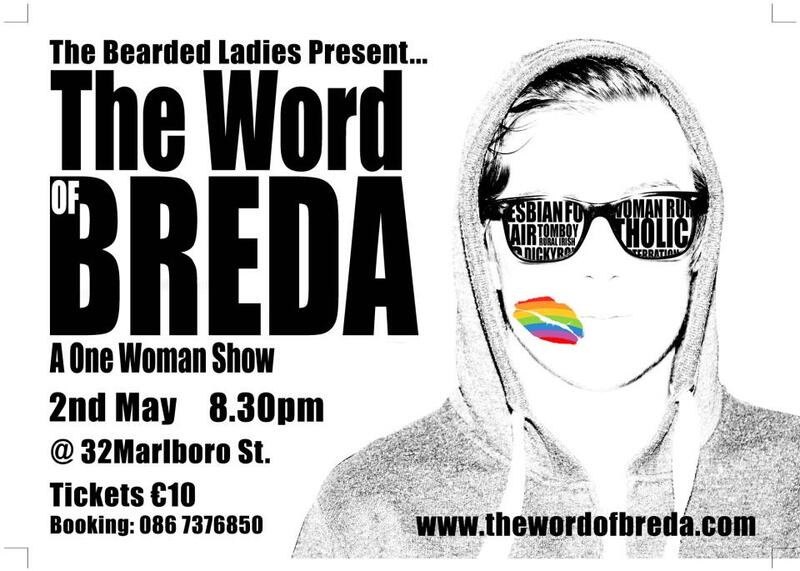 Join sapphic storyteller Breda Larkin in this hilarious and thought-provoking exploration of her life through the triple lenses of sexuality, religion and em…facial hair. Having discovered upon entering primary school that she was in fact A GIRL, it wasn’t long before Breda had to contend with the stifling limitations of pinafores, first communion dresses and knitting! From there it was an uphill struggle against the forces of heteronormativity, patriarchal society…and loofahs! Follow Breda as she journeys from ‘getting the shift’ with the local lads for ‘cream buns n’ snickers’ to breaking the hearts of her imaginary lesbian camogie team and cartoon reporter April O’ Neill, by falling in love with a beautiful real live girl and becoming a fully-fledged dickie-bow aficionado.